We are committed to fight for your best interests with transparency! You have the right to know where your benefit dollars are going! Unfortunately most brokerages do not want you to know and neither do the carriers. If you are frustrated and want to know how the carrier's black box really works then contact us. Founded by an ex-healthcare company executive with expertise in client underwriting, Houston Benefit Services has made a name for itself by asking the tough questions to get to the tough answers. 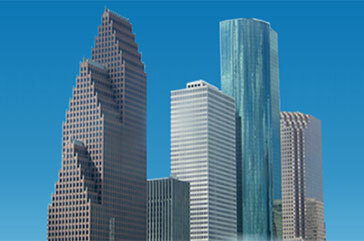 We assist our clients in obtaining the highest possible value for the benefits budget. We do this by balancing a perfectly unique blend of proven risk management techniques, leveraged buying power, and creative financing. LEARN MORE or Print our Marketing Flyer. In addition to our extensive experience in the direct, employer sponsored healthcare arena, we also work with Professional Employment Organizations to package Workers Comp, Payroll, HR, Compliance, Safety and Employment Investigations with our customized benefit plans. Managing personnel is all too often the most time consuming and tiresome aspect of running a business. Day-to-day HR tasks need to run like clockwork or a business will quickly lose focus. Achieving balance and perfection in routine HR activities is our business. We are effective at assisting our clients with handling the day-to-day human resources related tasks needed to run a business. We do this by assuming a shared relationship with your workforce whereby we completely manage activities that do not directly contribute to your success as a company. 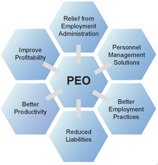 To learn more print our PEO Marketing Flyer.